You've wanted to get on your mountain bike again for a long time and push yourself? Then let's get going! Take Dice 27.5'' 6.0 into the forest. With this model, we have designed an MTB that allows for a manoeuvrable and agile driving style. The Rock Shox suspension fork keeps you in control of your mountain bike at all times. The proven Schwalbe Smart Sam tyres impress with their grip: They adhere well to almost all substrates. 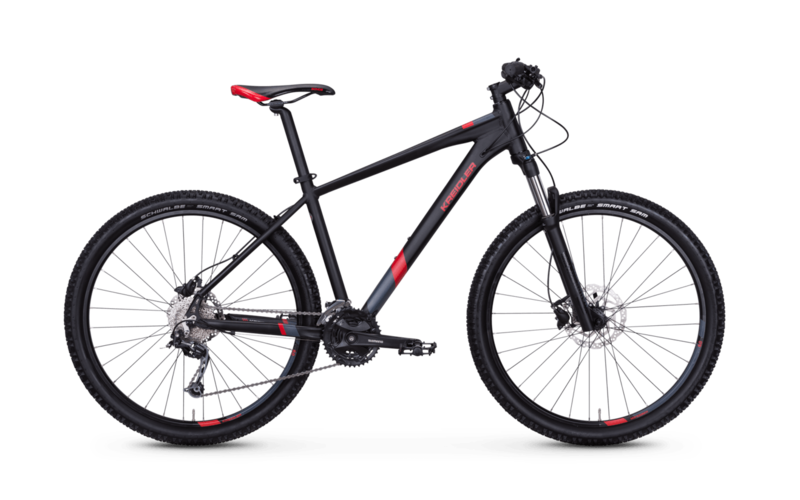 The hydraulic Shimano disc brakes engage if the speed has to be reduced before a turn. With Shimano's reliable cassette, you'll quickly find the right gear and pick up speed again. The Dice 27.5 6.0 promises you pure driving pleasure!